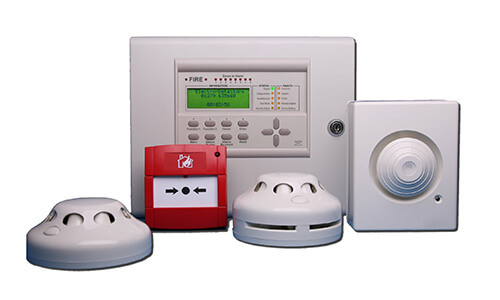 A fire alarm system comes complete with a number of devices that all work together to warn and detect whenever carbon monoxide, fire, or smoke is present. A fire alarm can be activated automatically by means of a heat or smoke detector. They may also become activated through a manual fire alarm activation device. Perhaps you have seen such pull-down activation device in an office or apartment building. A fire alarm can either be a wall mounted horn, a sounder, or a motorised bell. 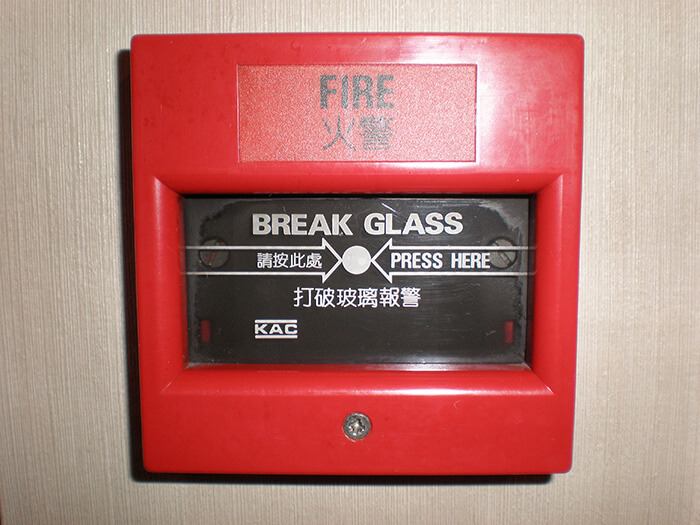 Sometimes a fire alarm can be speaker strobes which can provide both a visual and voice evacuation alarm. The voice alarm will warn people to leave the building immediately and not to use any of the elevators. A fire alarm sounder can be used at various frequencies and it may include different tones including high, medium, and low. It will all depend on the manufacturer and country of origin of the device. The majority of fire alarm systems throughout Europe have alternating frequencies and they sound like a siren. In Canada and the United States, we see mainly fire alarm electronic devices which are also known as horns. These type of electronic alarms can be set to various codes or they can be continuous. A fire alarm warning device often has a variety of volume levels. Fire alarms undergo extensive scrutiny for arrangements, specific components, and interfaces so as to accomplish whatever goal is required. These details are typically provided by insurance agencies, local building codes, and other similar types of authorities. All of the manufactured specifications for each fire alarm will also include standardised installation methods. The National Fire Alarm Code is the accepted standard in the United States and in Canada the ULC is the accepted standard for all fire systems. The United Kingdom has the BS 5839 Part 1 standard and Europe has the EN 54 as its standard. Each of these countries or areas require that every alarm system meets all of these standards before the fire alarm system is certified. The components of a fire alarm system include the fire alarm control panel, the primary power supply, a secondary backup power supply, initiating devices, notification appliances, and building safety interfaces. For example, the fire alarm control panel is the hub of any fire alarm system. It will monitor system integrity and inputs while at the same time controlling relay information and outputs. As previously mentioned, every certified fire alarm system should also have a secondary power backup. In many cases, this power backup would consist of one or more sealed lead acid storage batteries. The secondary power backup system could also include another type of emergency source such as a generator. Both of these backups would be able to supply power in case there was ever a primary power failure. The batteries should be installed near the bottom of the control panel or in a separate battery box that is near the control panel. Whichever type of fire alarm system you choose it is important to only select a certified system.